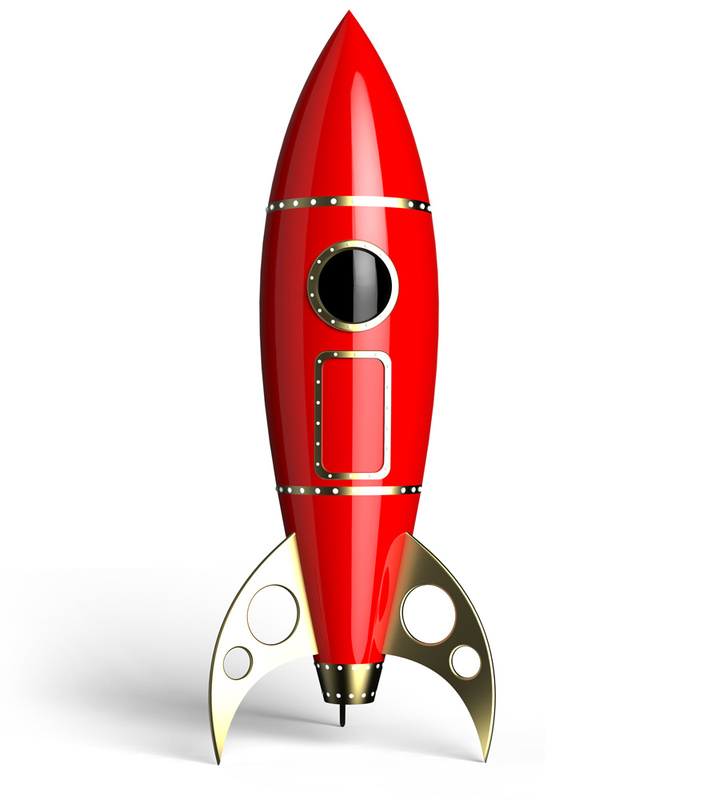 Are you looking for the best email marketing solution? Become our partner and have benefits such as discounts for sales and commission for channels and have a free account for the exclusive use of the channel. You don’t know HTML? That is not a problem. With drag-and-drop editor Mail2Easy PRO, you create beautiful newsletters by simply dragging the elements to include in the content. All layouts are created automatically responsive. The drag and drop editor makes it easy to create your message’s layout. Designed to give you unlimited creative freedom, simply drag and drop an assortment of content modules to create your e-mail. The A/B and multivariate testing feature lets you send up to 6 versions of e-mails to a percentage of your contacts and identifies the best option based on your objective: more clicks, more views, better delivery or, better yet, a combination of all three. 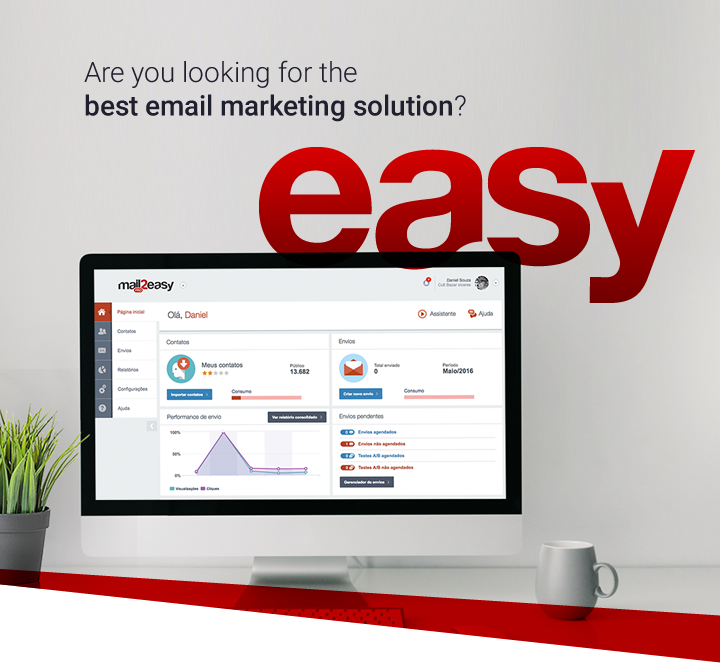 Mail2Easy PRO was optimized to be compatible with the best platforms on the market. 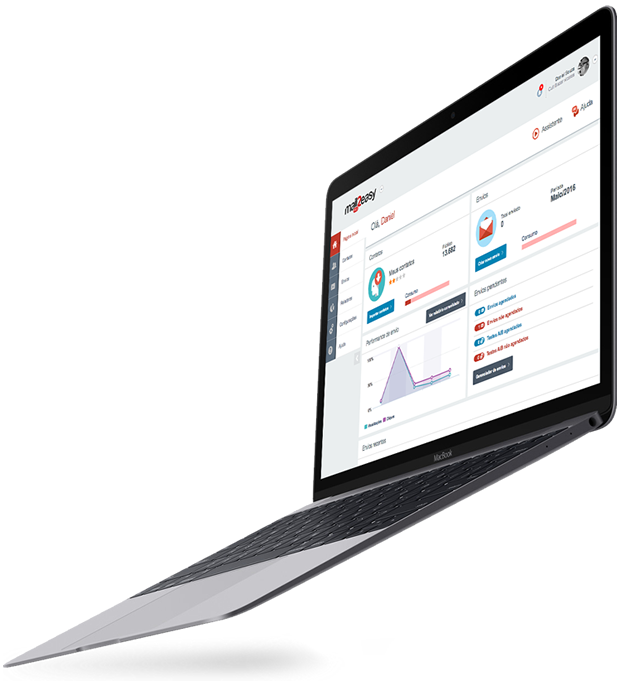 It features opt-in e-mail lists that let users enter their e-mail addresses into a subscription form and advanced integration options with the best customer relationship management and sales tools. It can also be integrated with social networks. Mail2Easy PRO lets you create segmentation strategies using a combination of filters based on contact data and behavior. With this resource, you can create actions focused on the profile and interests of your target audience. Configure automated action flows based on your contacts information, interaction with your newsletters and site browsing patterns. Everything is integrated, intuitive and easy to use. The reports Mail2Easy PRO generates give you a comprehensive picture of your advertising pieces and of the behavior of your contacts. With this information at hand, you can create a segmentation strategy that is in line with your audience’s interests. s interests. Track the browsing patterns of site visitors and send out scheduled or automatic e-mails, including shopping cart abandonment e-mails. Collect data on visitors and increase your understanding of their behavior. That’s the browser tracking feature of Mail2Easy PRO. The tags let you organize your contacts according to the most relevant characteristics to your campaign. For example, you can create a tag for active clients and another for potential clients and use them to send e-mails or text messages to different target audiences. Imagine easily and quickly creating integrated e-mail marketing and text message campaigns, creating professional-looking newsletters without having to know web design or HTML, and having resources at your disposal that were designed to improve your marketing strategy. Get your Free trial account. Register now! Choose a plan and start conecting with your customers today.